THE EVER popular works of Dr Seuss are celebrated in the musical Seussical which runs at the Town Hall next week, in a production directed by Association of Irish Musical Society award winners Brian Power and Seán Power, with AIMS award winner musical direction by Shane Farrell, and choreographers Katie Upton and Declan Gardiner. Seussical the Musical brings all of your favourite Dr Seuss characters lovingly to life, including Horton the Elephant (Michael Cooney ), The Cat in the Hat (Declan Gardiner ), Gertrude McFuzz (Kate Mahon ), Mayzie La Bird (Jenni Flaherty ), The Wichersham Brothers, The Sour Kangaroo (Lisanne Jacob ), General Gengus Khan Schmitz (Patrick Byrne ), The Mayor and his wife (Karl O'Doherty and Hannah McCreanor ), a little boy with a big imagination JoJo, (Ailbhe NíMhórán/Katie Larkin ) and many more. The colourful characters transport us from the Jungle of Nool to the invisible world of the 'Whos'. 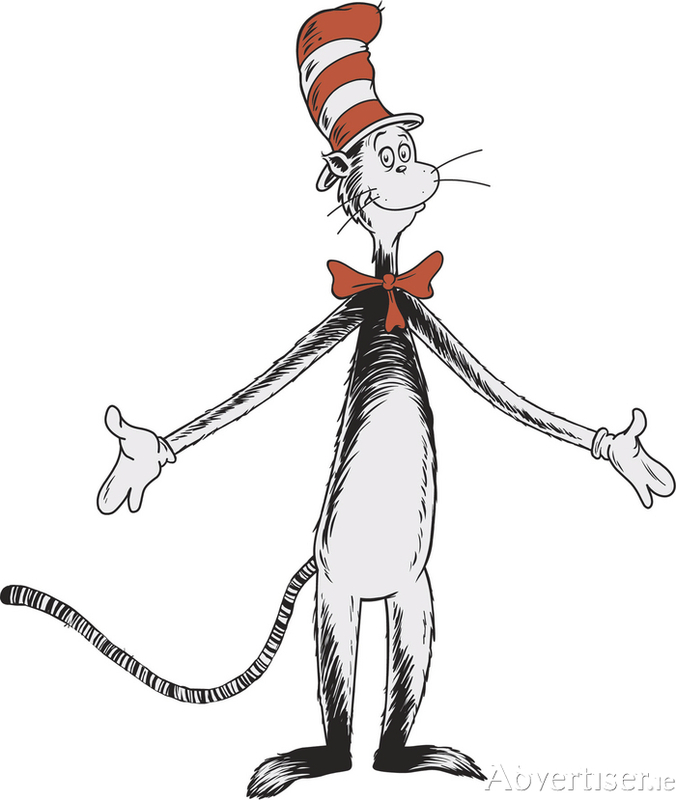 Join The Cat in the Hat as he takes you on a journey into the fantastical, bombastical and songtastical world of Dr Seuss. Horton the Elephant discovers a small world floating by on a speck of dust. This small world is floating out of control through the universe and is the home of the Whos, including Jojo – a Who with “thinks” that defies all description. Between them they must find a way to save 'Who' from a world of naysayers and dangers. However Horton faces a double challenge. He has been left alone to guard an abandoned egg, abandoned by non other than Mayzie La Bird. Caught between a dust speck and his incubating egg, Horton is truly alone in the universe, but while he faces ridicule, danger, kidnapping, and ends up on trial, little does he know the intrepid Gertrude McFuzz never loses faith in him. Ultimately, the powers of friendship, loyalty, family, and community are challenged and emerge triumphant.